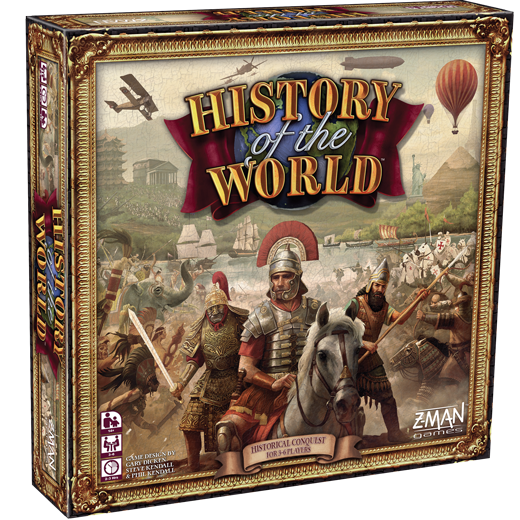 History of the World is a game of epic conquest set amid the rise and fall of mighty empires. 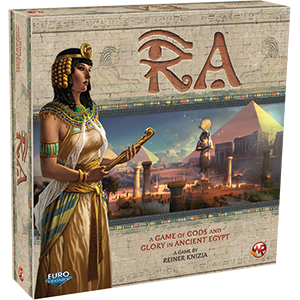 Each game spans the dawn of civilization to the twentieth century as you take command of historical civilizations and spread your influence across the globe. 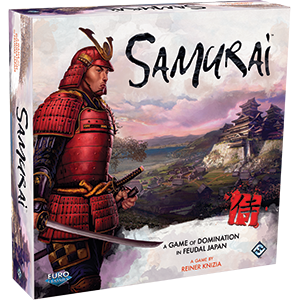 The more territories you claim, the more points you’ll score, but you’ll have to drive your rivals out if you want to build the largest empire. 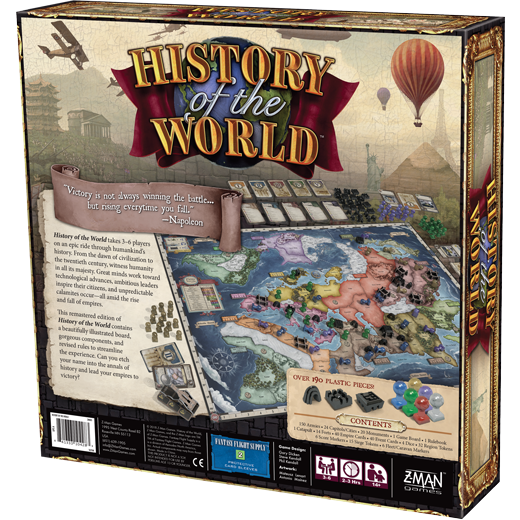 Originally released in 1991, this remastered version of History of the World maintains the thrilling gameplay of the original game while bringing it into the modern age with a beautifully illustrated board and gorgeous new components. Marshall your forces and defeat your adversaries. 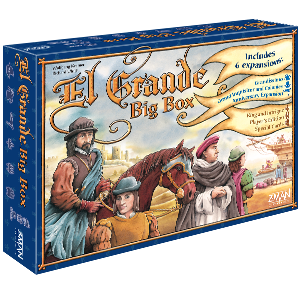 At the end of the game, only the player with the most points will have their immortal name etched into the annals of history! 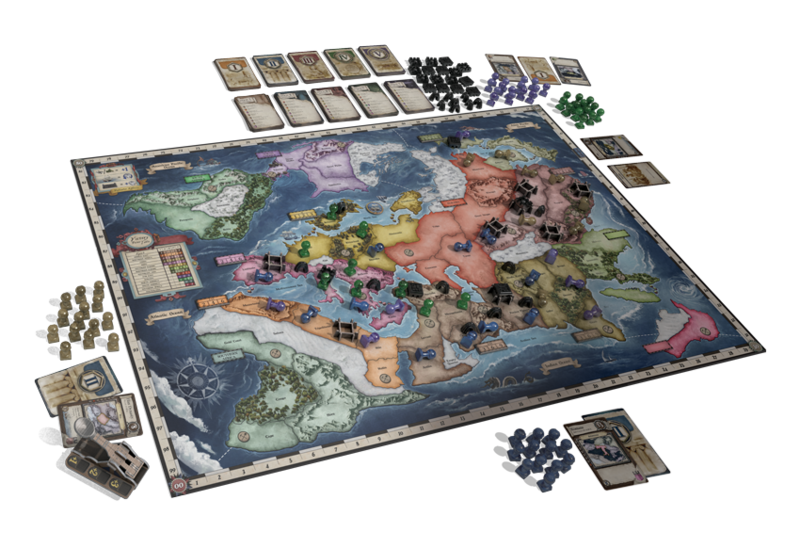 You’ll choose one of forty historical empires to control during each of History of the World’s five epochs and they all come with their own strategic considerations. 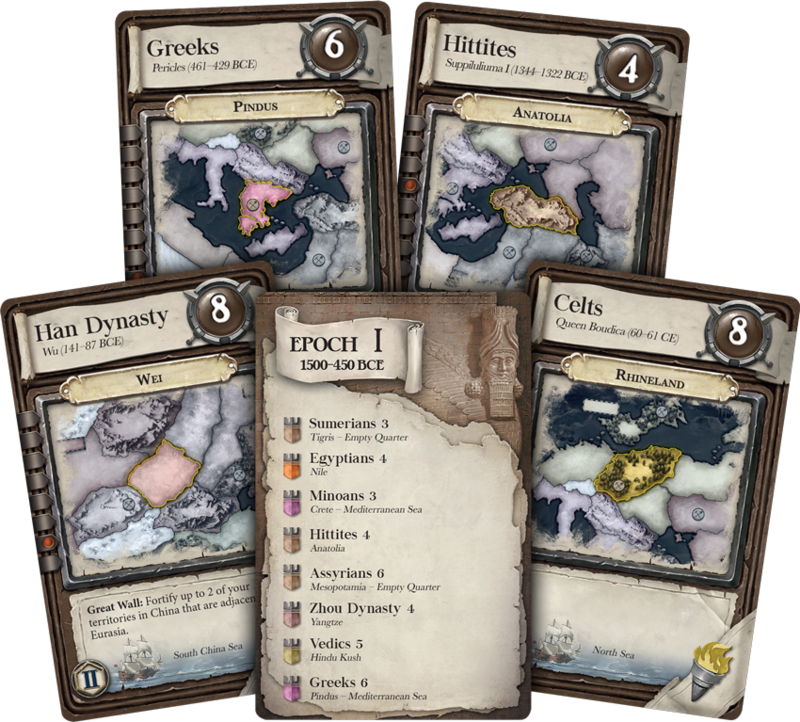 Each empire has its own number of starting armies, a starting territory, and unique abilities that help determine your course of action during that epoch. 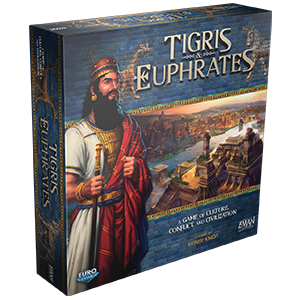 You might focus on securing resources to build monuments as the Egyptians, or you could become the Carthaginians and trample your opponents beneath the thundering feet of your war elephants. Whichever civilization you choose, your actions in one epoch echo into the next. Whoever can make the best use of their civilization’s unique attributes will position themselves to rule through the ages.